The Diva's that cut ....paper! 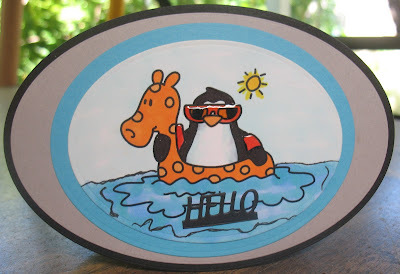 : Who doesn't like to see a Penguin Floating Around? Sweet!! I love how you finish off the water! !